The Sardine Run is among the ultimate diving experiences to be experienced. 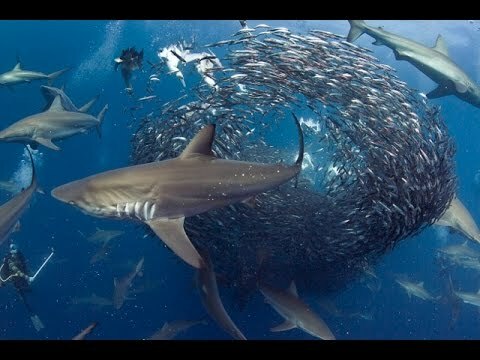 Plan a dive trip to experience what is called The Sardine Run and it takes place from May to July. This dive trip consist of a few days on the Aliwal Shaol, off the coast of South Africa. Th Aliwal Shoal has 100’s of dive spots and is home to over 1200 species of fish. Tha Aliwal Shoal is said to be the greatest shoal on earth. Take some time to plan your expedition. There are boat based adventures for everyone ( snorkelers, divers, bird watchers, photographers as well as whale and dolphin lovers). The Aliwal Shoal in itself, is enough to keep any diver happy. With hundreds of pristine dive sites spread across the 1.5km wide, 5km long shoal. The shoal is also home to over 1200 different species of fish, some of which are endemic to the shoal and found no where else in the world. Also making the Shoal their seasonal home, are a range of apex predators. Oceanic Black Tip sharks, Grey Nurse and Tiger Sharks are three of the main attractions on our baited shark dives. Along with the sharks, you will also encounter dolphins, turtles, stingrays and a variety of smaller wonders of the sea. Humpback Whales, Bryde’s Whales, Bottlenose Dolphin, Common Dolphin, Dusky Sharks, Bronze Whaler Sharks, Oceanic Blacktip Sharks, Game fish like Sailfish, Tuna etc. Seals, Cape Gannetts, Albatros and much more. The action is amazing and you are often surrounded by hundreds of sea creatures and of course millions of sardines and red eyes which make it a spectacular expedition.